This custom classic was specified by the very first owner of a Camper & Nicholson 32, who wanted more space and the racing performance of the 36ft version. Hull moulded by Halmatic, and built by John Perry. Lloyds certified to A1 spec. Solid teak decks, Aries self steer wind vane. She was acquired by the current owner in 2009 who converted her to cruising - and has a return crossing of the North Atlantic in this boat to his credit. The yacht was re-engined with a Kubotu (Beta) 29HP engine in 2007, antifouled, repainted and surveyed March 2018. Ill health forces the owner to reluctantly sell. The interior woodwork stripping and varnishing needs completion and there is ample scope to tailor the interior to the next owner's preferences. 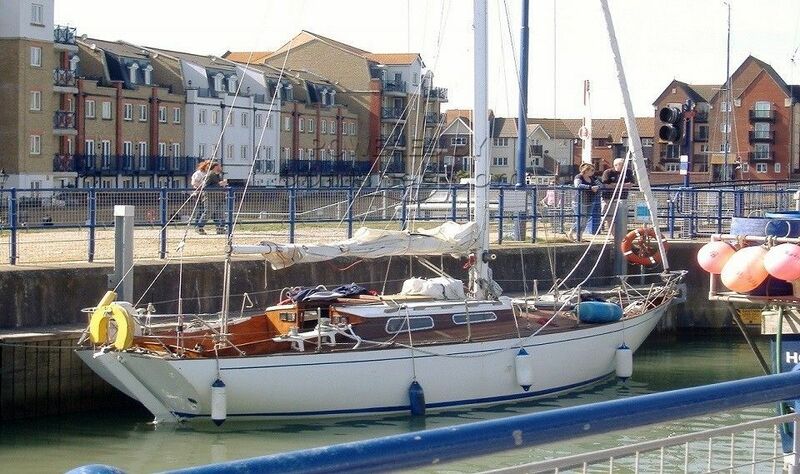 This Camper & Nicholson Custom 34 has been personally photographed and viewed by Dan King of Boatshed Brighton. Click here for contact details.